The Raven round black breakfast table has a simple design that is both affordable and practical, which has been finished in a lovely black and chrome. 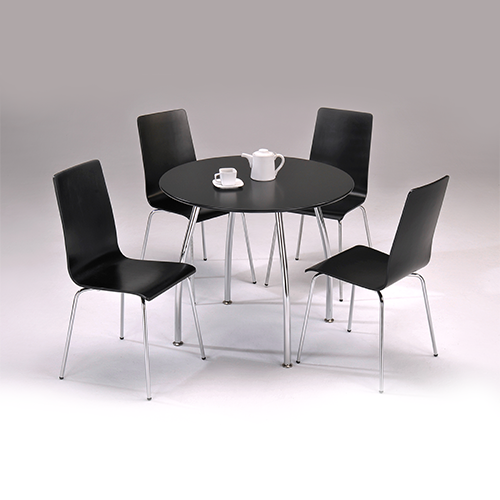 Available with 4 matching chairs, this table is perfect for a modern kitchen or breakfast room. The 90cm diameter round table is ideal for smaller breakfast rooms, but will comfortably sit 4 people.